One of the elementary rules of foreign policy is when you are in a hole, stop digging. But judging by their recent behavior, Beijing’s foreign policy mandarins and national security establishment are clearly in violation of this rule. Despite the diplomat heat China has received for its tough stance on territorial disputes in recent months, the Chinese Foreign Ministry apparently seemed to believe that it could strengthen Chinese claims symbolically by issuing a new passport containing a map that claims the disputed maritime areas in the South China Sea and the contested territories along the Sino-Indian border. The reaction was predictable. Southeast Asian countries, particularly Vietnam and the Philippines, protested loudly. India retaliated by promising to stamp visas containing its own map on Chinese passports. At around the same time as the diplomatic uproar over the new Chinese passport design, the People’s Liberation Army Navy (PLAN) conducted its first successful landing and take-off operations from its retrofitted aircraft carrier. The televised test might have boosted the Chinese military’s image and self-confidence, but the message this event sent around the region, given China’s hardline position on territorial disputes and its neighbors’ fears of the PLA’s growing military capabilities, cannot be very reassuring. 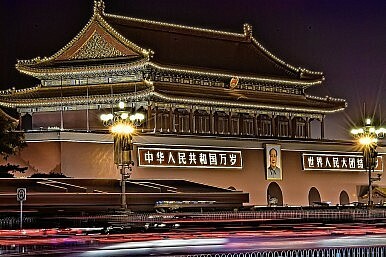 But that is not the end of the actions taken by China recently that are likely to cost Beijing’s new government dearly. A few days before Japan’s Diet elections on December 16, which are expected to produce a right-wing government with deep antipathy toward Beijing, the Chinese government escalated its challenge to Japan’s territorial claims to the Senkaku/Diaoyu islands by flying an official, albeit unarmed, maritime surveillance plane over the airspace of the disputed islands. As expected, the move incensed Tokyo and can only be expected to bolster the Liberal Democratic Party’s (LDP) chances and lend more credence to their call for a tougher policy toward China. Don’t believe the hype: Beijing’s Sansha military garrison is more of an administrative move than an arms buildup in the South China Sea.